You’ve got to hand it to DC comics, while it may have been late to the game with regards to meticulously crafting a cinematic universe; the company has pretty much dominated the television landscape for the past few years. Across numerous networks, DC's television properties have created a separate universe from DC films that arguably rivals its big screen counterparts. There’s no dearth of high quality DC programming on television, and WGN America seems eager to get in on the action; the network has just announced two major pilot orders, one of which will be an adaptation of a DC series. Just don't expect any superpowers or tights this time around. WGN America has just placed an order for two brand new pilots. The first pilot, Scalped, is an adaptation of a series of graphic novels by Jason Aaron which first hit shelves back in 2007 and ran for 60 monthly issues. According to a new report from THR, it will be loosely based upon the 1975 arrest of Native American activist Leonard Peltier. Scalped tells a crime story set within a modern Native American reservation and a conflict of loyalty and power between members of a particular tribe. As of now, the report indicates that the project intends to enlist an entirely Native American cast, although few specifics have come forward in that regard. Scalped will differ from typical DC comics television properties in the sense that it won’t deal with superheroes or traditional comic book universes. 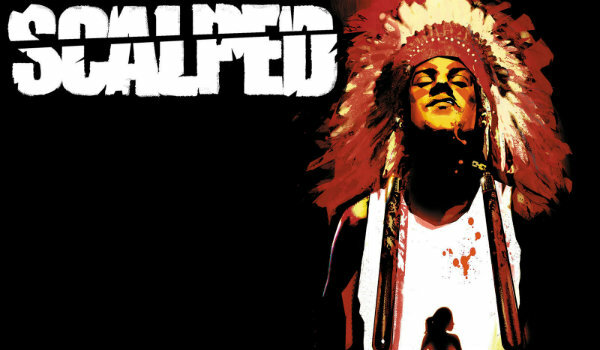 Published through DC’s darker, edgier Vertigo brand, Scalped represents an opportunity for a DC adaptation to tell a genuinely dark, gritty, and visceral story, free from the trappings of capes, cowls, and superpowers. That being said, DC guru Geoff Johns will still take a break from producing traditional super heroics to executive produce the project. All differences considered, television shows based upon DC comics have become incredibly hot commodities in recent years. Between Arrow, The Flash, Legends of Tomorrow, Supergirl, and Gotham, DC has begun producing incredibly high quality small screen content based upon their myriad series of graphic novels. WGN America isn't the only network getting in on the action either; Scalped joins the upcoming NBC sitcom Powerless as the next in a long, prestigious line of DC TV properties. In addition to Scalped, WGN America has also put in an order for an adaptation of Roadside Picnic. Based upon a 1971 novel by Arkady and Boris Strugatsky, Roadside Picnic depicts a version of Earth in the not-too-distant future where extraterrestrial life has visited the planet and has subsequently departed. The story examines how the societies of Earth would respond to such a groundbreaking occurrence, as well as how our culture would change in its wake. We will bring you more information related to the upcoming pilots for Scalped and Roadside Picnic as they become available to us.